Gone are the days when companies that sell goods and services to the public can succeed without effective Contact Center Operations (CCO). Banks, insurance companies, telecommunications service providers, and even hospitals successfully manage customer service and build brand loyalty with a strong CCO. CCOs can make or break a company, but they are expensive to build and maintain and can’t be done if it means sacrificing a positive customer experience. The question then becomes: if loyalty building is the key to profitability, how do can companies get there? Unlimited, state-backed resources? To meet the sophisticated challenges posed by critical infrastructure security, sophisticated deception- based technologies are emerging as a cost-effective and highly-efficient option for critical infrastructure networks. Internet, companies could appear right next door while operating thousands of miles away. With these steps taken, communication costs were slashed. The contributions of these new call centers to bottom lines were dramatic. The solution was at hand and proclaimed to the entire world that offshore call centers were the answer to high call center operation expenses. It didn’t take long, however, for companies to learn that lower expenses are not necessarily the most important factor. Familiarity plays a huge part in customer loyalty. To that end, when contacting a local company for service, customers do not expect to hear a foreign accent. They want to be greeted by a local representative they can easily understand. But language and culture are not the entire story. is good for the efficiency of the call center is not necessarily good for the person buying a service via the call center. The result? Customers can become frustrated by the lack of expertise present when it comes to addressing their specific situation or problem. Lastly, by farming out the customer service operation to foreign centers, companies lose control over security, privacy, and the vetting of employees by their individual standards. What might be acceptable in one country could be a big no-no in another. North American companies needed to get control back. While expense reduction is always pertinent to the profitability of a company—and CCO expenses can be considerable—companies now recognize that good customer service, impeccable reputation, and repeat business are critical to maintaining revenue. They must bring their contact centers back on-shore without affecting the bottom line, while at the same time meeting customers’ rising expectations. No small feat. Customers expect more. Much more. The Walker study also found that customers expect companies to know their individual needs and to personalize their experience to meet those needs. In fact, the study revealed that 86 percent of consumers are even prepared to [ay more for a better customer experience. As the speed of digital communications and the use of smart digital devices increase, companies turn to technology to improve customer experience while cutting costs. 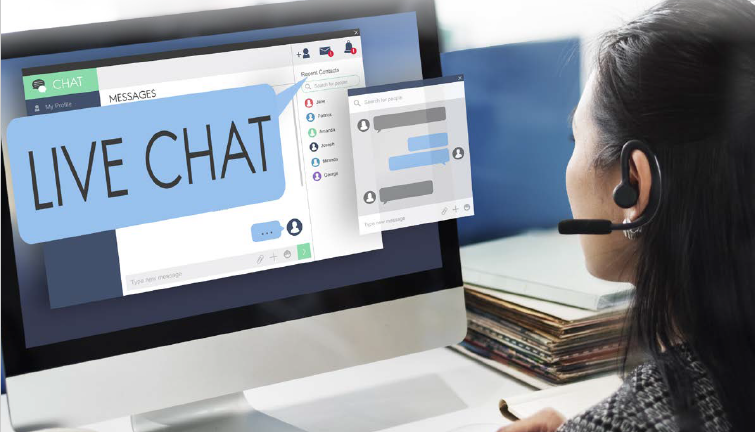 More and more companies have been investing heavily in self-service digital channels, hoping that these will decrease the number of interactions of customers within the call centers. Fewer human interactions means less call center staff and lower phone bills—reducing expenses. But the high investment in digital channels is not achieving the desired change fast enough. While younger people tend to live a more digital lifestyle, about half of the customer base, mainly customers over 35 (who have money to spend) are not rushing to adopt digital. In fact, most people still prefer calling a human being for customer service. It’s not just the customer adoption that is off. Companies have taken a piecemeal approach when implementing their digital solutions, creating another impediment to meeting customer experience expectations. Today, most digital channels are siloed – a customer’s contact journey must take place, end- to-end, over a specific channel. If a customer wishes to move from one channel to another, engagement is halted and restarted. For example, if customers fill in personal data on a website, they might still be required to repeat the entire process once they reach a live agent. Or, if a process starts in the company’s app, it might be impossible to complete it on the website. Companies prefer that customers use their digital channels for engagement for the cost-effectiveness. However, customers who prefer digital channels are frustrated because they can’t seem to find a smooth journey that considers all of their channels of choice – in whatever way they want to employ them. There is a way to tie all these digital and voice channels together to take advantage of the customer’s interaction preferences. Appealing to the customer this way provides a good customer experience and reduces contact center operations expenses at the same time. UCX takes advantage of the fact that most customer service engagements begin with a phone call. 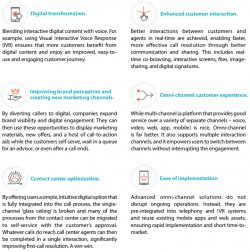 The journey may start with a voice conversation, but right away the customer is offered an attractive menu of digital methods that are relevant to what she or he is seeking, allowing the customer to complete the journey via whichever channel they choose. What characterizes this unified customer experience? Offshore doesn’t work. Companies need cost-effective call center operations that enhance, rather than detract from, the customer experience. While moving call center operations offshore might reduce expenses, study after study shows it significantly impacts a company’s close relationship with its customer, making the offshore deployment counter productive. and do not allow customers to switch channels while in session. to switch from channel to channel, and from device to device, while keeping the engagement in progress. Omni-channel solutions provide a unified customer experience that breeds loyalty, while meeting high and increasing customer expectations and keeping CCO costs to a minimum.